After some experience as a radio actor in Turin, a young Piero Farani arrives in Rome to seek fortune. The historical moment in Italy is one of incredible economic growth and the Italian movie industry is going through what will be universally acknowledged as its golden era. Many are the young aspiring artists who gather in Piazza di Spagna by the Spanish Steps. Lots of them will make those years great and unparalleled: Paolo Poli, Giancarlo Cobelli, Gian Maria Volontè, Franco Zeffirelli and many others. It is in this particular environment that Farani decides to follow his friend Danilo Donati and become his assistant in Annamode, one of the prominent costume ateliers of the time. It is love at first sight. In that workshop, all the pieces of his personal mosaic come together; Farani’s talent emerges and costumes become his life’s only true passion. From his beginnings as a simple assistant, he becomes managing director of the atelier. After a few years, specifically in 1962, he decides to launch his workshop in the historical headquarters of Viale Mazzini with the support of Danilo Donati who had become one of the most attention-grabbing costume and scene designers of the moment. The first work for which Sartoria Farani produces costumes is Hamlet, as directed by Franco Zefffirelli, with the actors Anna Proclemer and Giorgio Albertazzi, and featuring Donati’s designs. The ‘60s are characterized by Sartoria Farani’s collaborations with three pivotal directors: Pier Paolo Pasolini, Franco Zeffirelli and Federico Fellini. Nine out of the thirteen movies directed by Pasolini feature Donati costumes. Zeffirelli’s “Romeo and Juliet” grants Donati his first Academy Award® for Costume Design after several nominations. In 1976, another Costume-Design Academy Award® is granted to Danilo Donati for his work in Fellini’s “Casanova”. These are movies and costumes that have defined an era. The collaboration between Farani and Donati revolutionized the traditional tenets of costume-making by way of use of unusual, innovative materials and experimental new techniques. Other historical productions of that period are John Houston’s “The Bible” and Roger Vadim’s “Barbarella”. The latter is quoted as being the epitome of futuristic costume design in every revered costume and fashion text book. These are also the years of the magical black and white television, with the unforgettable Saturday-night shows like Studio 1 and Canzonissima. The costumes of the stars of the time, such as Delia Scala and Mina, were all developed at the Sartoria Farani. The wonderful “Leonardo”, directed by Renato Castellani and featuring the costumes by the great Ezio Frigerio, is also noteworthy. By the end of the ‘70s, with the decline of the great Italian movie industry, Sartoria Farani redirects itself toward theatrical and operatic productions. 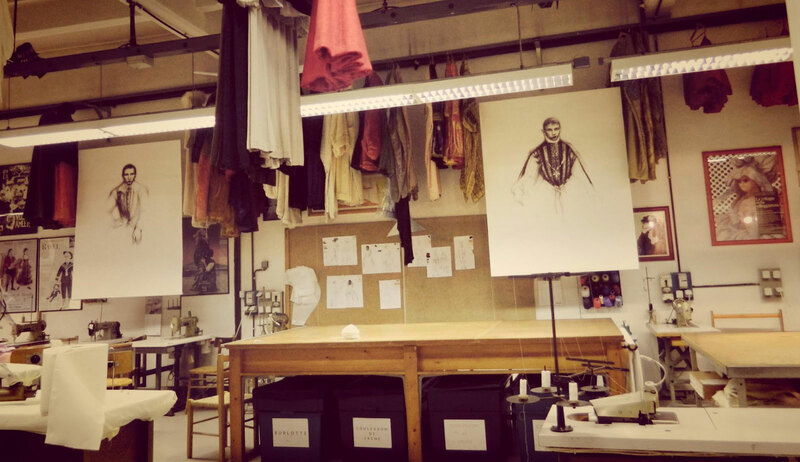 The atelier produces costumes for the most prestigious theatres in the world. A new generation of directors and costume designers joins in: Lele Luzzati and Santuzza Calì, Franca Squarciapino, Mauro Pagano, Maurizio Scaparro, Gabriele Lavia and Andrea Viotti. 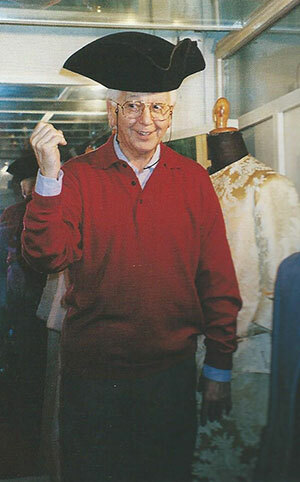 Piero Farani, with the immeasurable passion for his work and his “sartoria”, always referred to himself as an artisan. He was well aware of the value of what he had created through the years and did not want it to be lost. At the beginning of the ‘80s, with his undisputable vision, he chooses Luigi Piccolo (Giuti) as his ideal successor. In that period, the Sartoria moves to its current headquarters in Trastevere. Since Farani’s passing in 1997, Piccolo has taken the reins of the company, and even if he continues along the path of exploration, he has turned toward costumes’ study and their historical reconstruction. Starting from a small fund created by Piero Farani himself, Piccolo has collected authentic pieces which today amount to more than 1000, ranging from the first quarter of the 1700s to Haute Couture dresses from the ‘60s. In the last ten years, several exhibits have been put together with the intent of supporting, promoting and divulging its high value of craftsmanship. Finally, as is the case in every well-transmitted tradition and in every story that must be continued, Piccolo has been supported by the young and tenacious, Lina Cardone.